Mid Central Door was founded in 1974 when the owners of St. Cloud Overhead Door Co., received numerous requests from customers for commercial walk-thru doors. For the first 23 years of its existence, MCD shared shop and office space with Overhead Door. Both companies were growing, and in 1997 MCD moved to its own building, where it is currently still located. 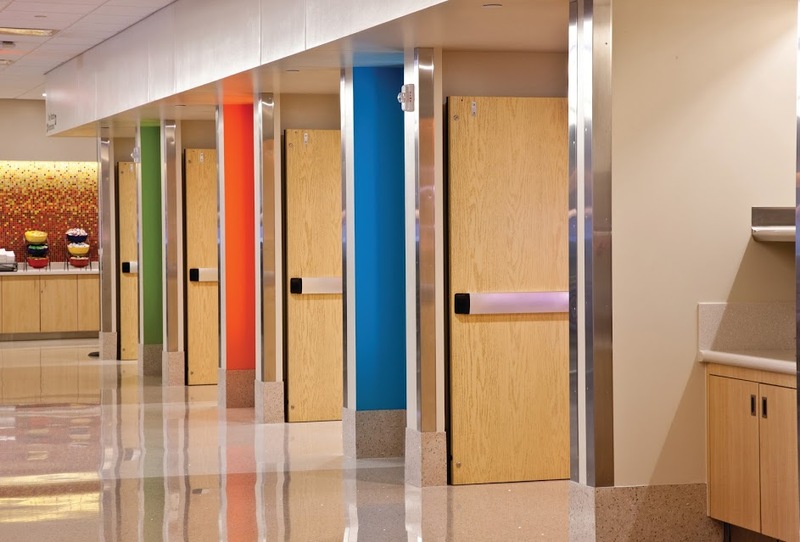 Since its founding in 1974, MCD has grown to become the leading supplier of hollow metal doors and frames, commercial wood doors, and architectural hardware in central Minnesota. Products from MCD have been installed in a number of high-profile projects including the St. Cloud Hospital addition, JCPenny remodel, Kennedy Elementary School, St. Cloud Library, St. Cloud Police Station, River’s Edge Convention Center, Anderson Trucking and many more. OUR CUSTOMERS MATTER ... HEAR WHAT THEY HAVE TO SAY. I can go to Mid Central Door on any job and you will always put your best foot forward no matter the size of the order! I have worked with Mid Central Door for nearly 20 years. In that time, I have found their expertise, foresight and knowledge to be second to none and the service I’ve received from them has always been excellent. Their staff is able to tackle any size project, no matter the complexity, with ease and professionalism and the products they provide are first rate. I look forward to working with MCD for many years to come. American Door Works is your garage door experts for Residential and Commercial needs as well as service and repair to both Residential and Commercial garage doors. We have an excellent team who will work hard to meet your needs and leave your home or business with curb appeal. Though our name and logo have changed, the values created during 42 years of family ownership will remain the same: friendliness, integrity, innovation and hard work.